Growing up we had a massive garden and one of my favorite vegetables other than peas were beets! They are sweet with an earthy flavor. 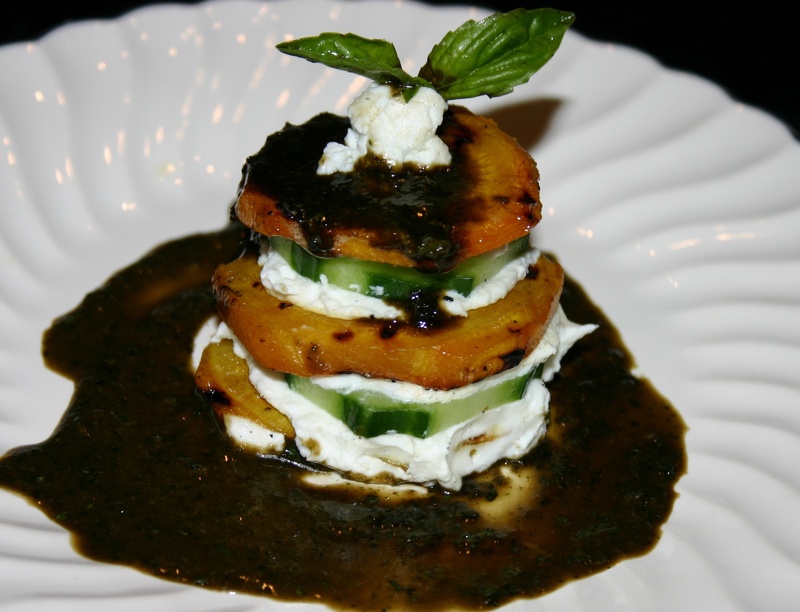 I ate them as is with a little bit of butter and kosher salt, but they can be diced and added to salads, made into chips, create a beautiful appetizer tower or anything you can imagine! Normally they come in the dark red color, but you can also get golden beets as well. 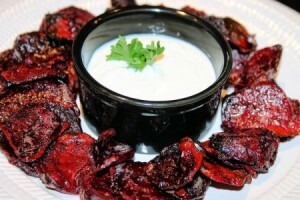 Beets are very dense and cooking times can be quite long. There are several ways of cooking them. The first is to remove the leaves, but leave part of the stem intact and don’t cut off the bottom either otherwise the juices will seep out leaving a not so flavorful beet. Place in a cake pan filled half way with water, cover with foil and bake in a preheated oven at 375 degrees for about an hour or until soft when pierced with a fork. When they are cool enough to handle peel and cut into bite sized pieces. 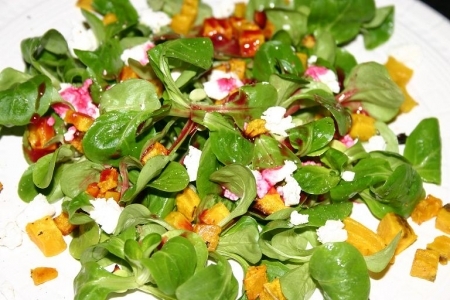 Don’t throw away the leaves – add them to your salad. Prepackaged mixed greens often have beet leaves. 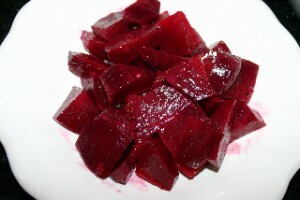 The second is to peel and dice or slice the beet, drizzle with olive oil and sprinkle with kosher salt, evenly spread on a baking sheet and bake in a preheated oven at 375 degrees for about 30 minutes or soft when pierced with a fork. The outside should be slightly crispy. For chips the cooking time will be longer. Finally my favorite and my Mother’s favorite technique is to use a pressure cooker. By using a pressure cooker you will cut the cooking time in half or more. Follow the instructions on your pressure cooker for the amount of liquid to add for the amount of beets you are cooking. Some of you may not have pressure cookers so all of the recipes use the top two techniques. However, I highly recommend a pressure cooker not only for beets, but other ingredients and recipes as well. They are great when you need food fast! 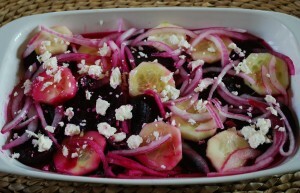 Remember that beets are a dye and will stain clothing and chopping boards. So this is a good time to break out an apron if you have one and use rubber gloves if you have them as well. 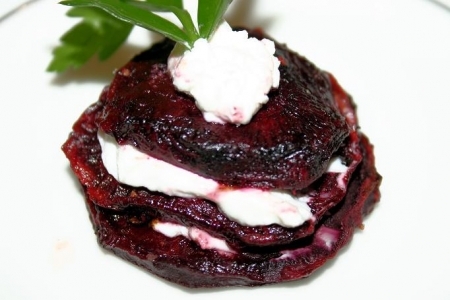 I know most people give beets a bad rap because they probably only have had them from a can, but give these recipes a try or try my other recipes containing beets and you may see how sweet they are!